**To redeem 75K Lounge day passes, visit the Alaska Lounge and provide your Mileage Plan number to the Concierge. To ensure account security, the 75K member must be present to redeem, though the passes can be used by others. 75K Lounge day passes can be converted to sharable day passes by visiting an Alaska Lounge location. Once converted, day passes must be used within 3 months of being issued. UPDATE: I spoke with one of my contacts in PR at Alaska. This change is confirmed however it does not go into effect until January 1, 2019. So for the rest of December, you should still be able to gift Lounge passes for use prior to 2019. As of January 1, 2019, the MVP Gold 75K will need to be present at the Lounge. One of the perks of MVP 75K Gold status with Alaska Airlines is four Alaska Lounge passes. These Lounge passes, good for one day, could be used by the member or the codes could be gifted to another passenger. A number of times I gave these away to family or friends to use when traveling, especially around the holidays when my extra codes were going to expire. Recently I purchased an Alaska Lounge membership. I was left with three of my 75K passes that were set to expire at the end of 2018. Apparently Alaska recently implemented a change where the codes could only be used by the Gold 75K member. They could still be used by someone else, but the member had to be traveling with that person. I first read about this over at FlyerTalk and had it confirmed by an Alaska rep via Twitter. This is one of the most poorly thought out changes by Alaska. It makes the Lounge pass benefit worthless for someone like me that purchased an Alaska Lounge membership. I already get to guest in two other passengers — how often am I going to need to guest in a 4th or 5th passenger with me where I would need to use one of my 75K passes? I have written about why Alaska is losing my loyalty. Alaska is continuing to reduce benefits to their most loyal customers — in this case it is impacting most those that are 75K elites AND paid Alaska Lounge members. The cost to Alaska of the passes is close to zero. 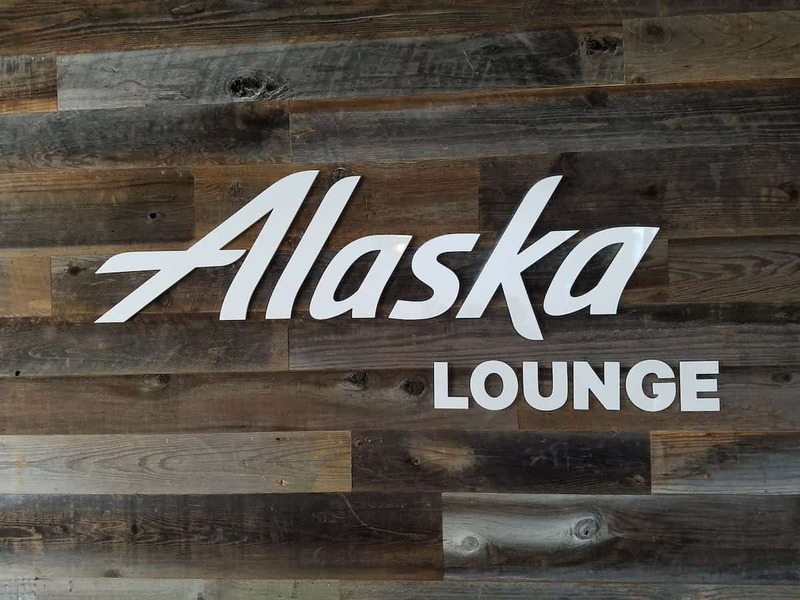 If anything, it might be an opportunity for Alaska to show off the Lounge and potentially sell a Lounge membership. What is Alaska thinking by removing a low cost benefit from their best customers? I don’t agree. Despite the “devaluations”, Alaska Airlines remains the best major carrier in the US after the three Stooges…. Those passes were intended for additional travelers WITH the Lounge member. Not to be given out when the member is not present… Even worse, sold to others in exchange of favours/$$. Which other airline hands out VIP access giftable? Not even international airlines do it. Thank you for your comment and for reading the post. The passes are completely separate from Lounge membership. Sorry if I wasn’t clear about that. I am talking about the Lounge passes that 75K elite members receive each year. They are meant to be used by either the elite member to access the Lounge or to give to a friend or family member for them to use. I’m not sure what you mean about tablets. I completely agree that now, the 4 lounge passes given as a “bonus” to 75K members are all but worthless. This change gives me incentive not to renew my lounge membership until I have personally used my 4 passes. I was and am saddened by yet another downturn in Alaska Airlines’ service. What was once THE airline in customer service is now moving closer and closer to a “Spirit Airlines” model; WITHOUT the super-low prices Spirit offers for their paired down offering.